Success Factory is an accredited service provider – SETQAA Decision Number 2075. 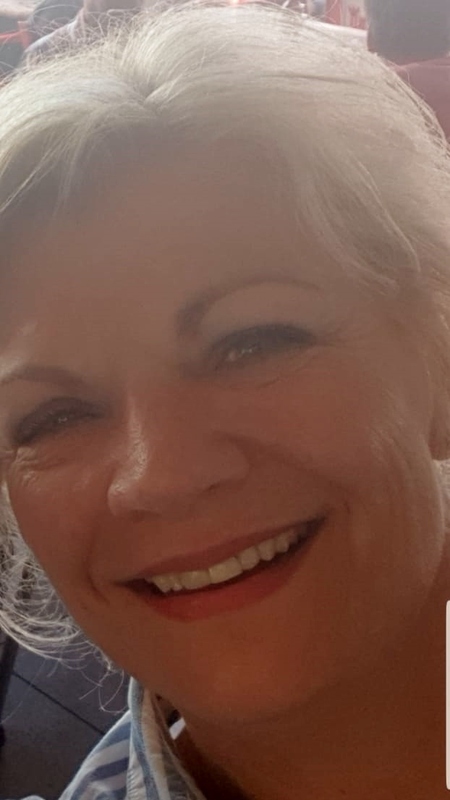 Elsabé Manning is a qualified Executive, Life and Business Coach; Accredited Facilitator; Experienced Public Speaker, HR and Business Consultant and writer. She studied Human Resource Management at the University of Johannesburg. She has many years’ experience in management, training, coaching and mentoring and team development: from designing a team to re-building dysfunctional teams. Elsabé trains professional and company coaches and mentors who, very often, are qualified clinical psychologists. Her wisdom, knowledge and ongoing studies in human behaviour, especially emotional intelligence, and years of experience ensure that she obtains the best possible outcomes. To this end she offers contactable references for all her work. 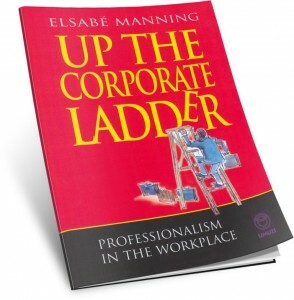 Elsabé is the author of Up The Corporate Ladder – Professionalism in the Workplace. She also writes leadership and self-development articles for organisations and up-market lifestyle and business magazines and has her own television slot on Professionalism in the Workplace on ABSA Bank’s internal television training channel. Elsabé is one of Fleet Street Publications’ Human Resources Specialists. We have a culture and proven track-record of consistently delivering high quality work through excellence. We obtain excellent results and we deliver high return solutions based on an inherent drive to identify, analyse and align solutions with the key drivers or strategic objectives of the business and as such achieve a clearly defined value proposition. Team development: From designing teams to re-building dysfunctional teams. These core competencies applied collectively or individually will identify and close the gap that exists between true and realised potential within any organisation. Success Factory’s coaching and training model is designed to facilitate positive change through meaningful cognitive paradigm shifts by identifying and changing limiting beliefs. The best way to change someone’s behaviour is through insight. Insight happens once delegates buy into new information, ideas and different ways of thinking. Once delegates believe the information they hear, and it makes sense to them, their behaviour will automatically begin to change. Elsabé was selected as one of The Most Inspirational Women of South Africa of 2012 as featured in Volume 2. Success Factory won The 2006 Mijima Award! Winner of the 2004 GreenPepper Enterprise Award which is awarded to South African companies that excelled in their industries, created economic growth or new job opportunities for the people of South Africa. We aspire to become the skills development company of choice by coaching, mentoring and training people to develop high performance behaviours by using the latest, proven methods and material. By assisting our clients to align their thoughts, words and actions to their goals and objectives. 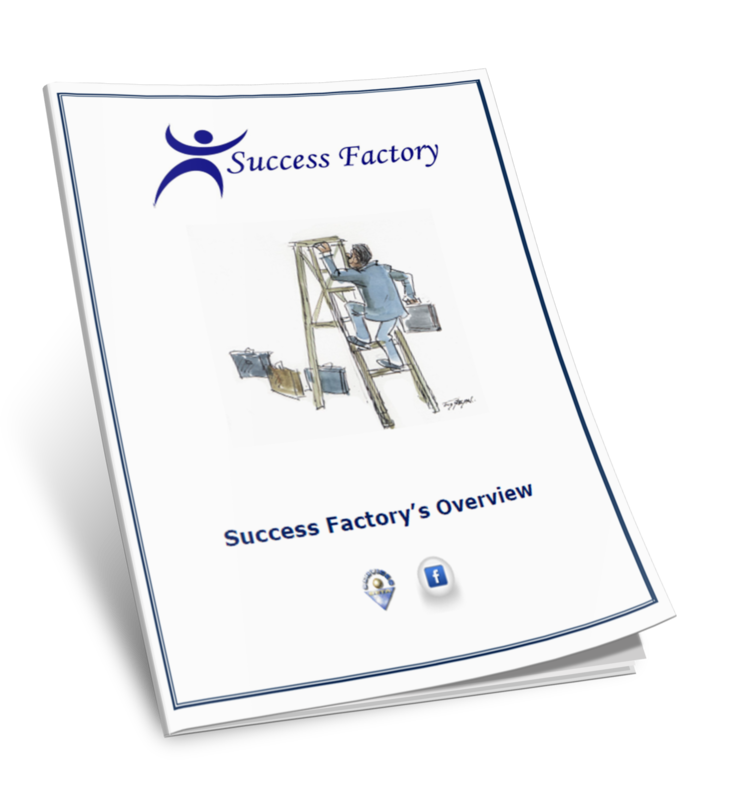 Success Factory is a customer-focussed organisation. Our accreditation ensures that our quality learning programmes are delivered by the best facilitators and we guarantee excellent service! and large corporate companies such as: Netcare; Standard Bank; BP; Absa Bank; Basil Read; Credit Guarantee; First National Bank; Hewlett Packard; IFAW; Johncom; Old Mutual; Ster-Kinekor; UPS; Vodacom etc. because we fit well into the vision of the National Skills Development Strategy (NSDS) and the National Qualifications Framework (NQF). Success Factory’s accreditation proves alignment to NQF standards and practices. Success Factory’s accreditation certifies compliance to legislation such as The Skills Development Act number 97 of 1998 (DOL) and The South African Qualifications Authority Act No 58 of 1995. Success Factory’s accreditation ensures that all our clients can claim back Skills Development Levies. Elsabé was selected as one of The Most Inspirational Women of South Africa 2012 as featured in Volume 2. We won The 2006 Mijima Award. Winner of the 2004 Greenpepper Enterprise Award which is awarded to South African companies that excelled in their industries, created economic growth or new job opportunities. 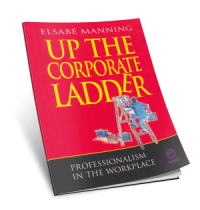 A practical guide to what true professionalism and competence entails, this book guides one through all manner of business interactions, from how to conduct oneself professionally while meeting with people from other cultures to the often overlooked rules of e-etiquette. Topics include: time management, networking, self-sabotage, travel etiquette and dressing for success.